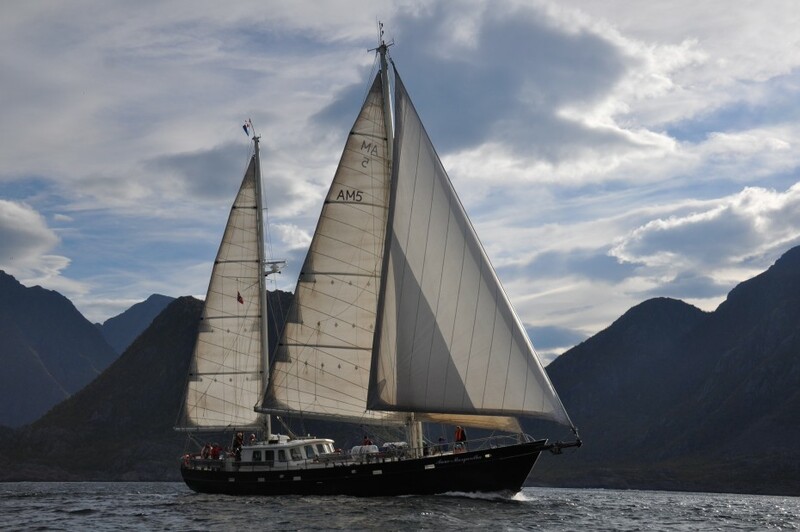 Owner: Anne-Margaretha Charters, (Heinz Wutschke & Greet Dekker) The Netherlands. 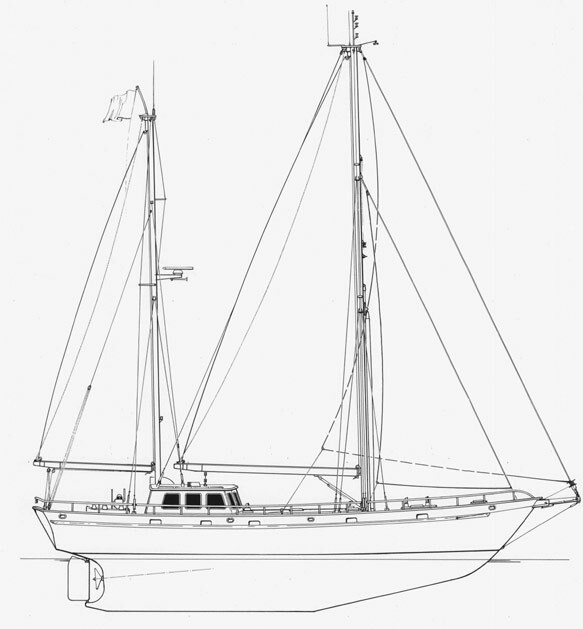 Built to meet all official Dutch maritime regulations. The ship The cosy main cabin invites you to talk about the day’s adventures over a warm European meal. 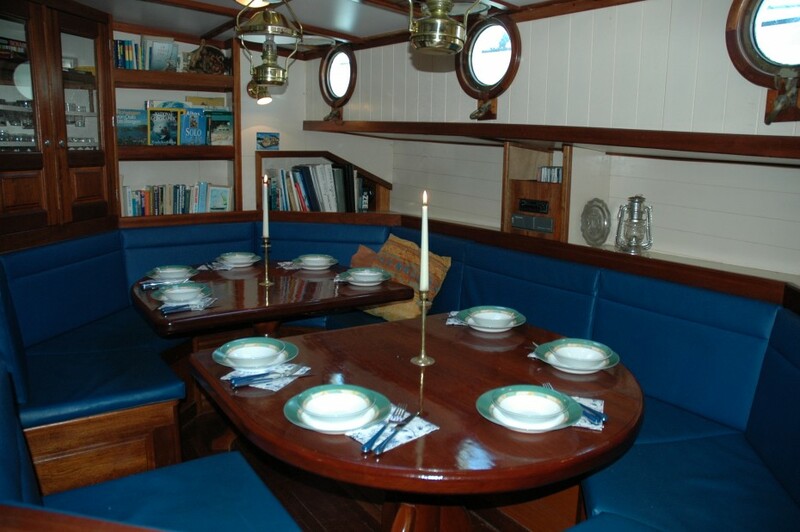 In the large wheelhouse there is a sheltered area for our guests to enjoy the landscape as we sail past. 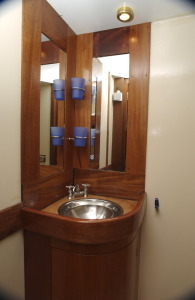 Each two person cabin has a washbasin with warm and cold water. At the front of the ship, there are two showers and two toilets. 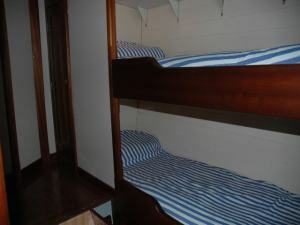 Both cabins at midship have a toilet and shower. 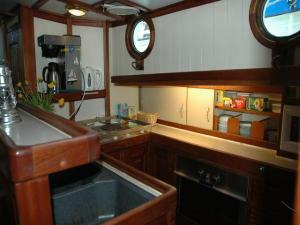 The galley of the Anne-Margaretha is fully equipped with an electric range, oven, microwave, refrigerator and freezer. On a misty day, we enjoy the warmth of central heating.